Between the Lions Leona Plush Talking Lion Leona from Between the Lions By Fisher Price Tells stories 13 inches tall Works; no hang tag; good condition. 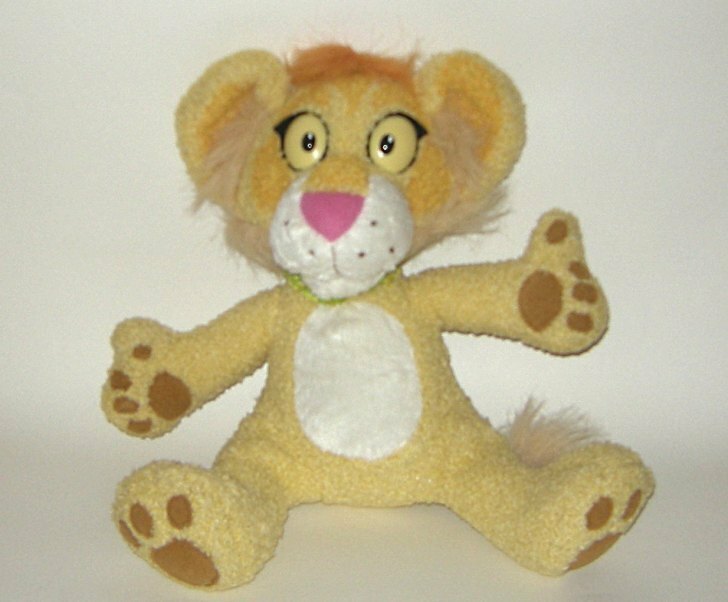 This is a plush lion character, Leona, from the PBS show, Between the Lions made by Fisher Price. When you squeeze her, she tells the beginning of a story. Squeeze her again, she tells the end of the story. She measures 13 inches tall. Works great, in very good cosmetic condition. No hang tag. Note: All our items for sale are pre-owned and come from various sources. Though cleaned, sanitized and deodorized, we can't guarantee they are free of all odors, allergens, irritants, or other potential issues. If this may be problematic for you, please pass us by. Thank you.